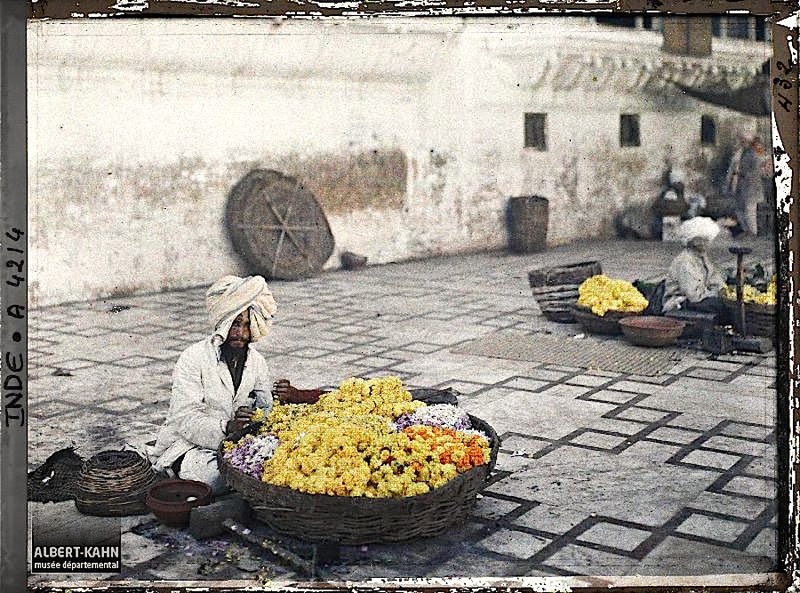 Selling flowers to Sikh pilgrims at the Golden Temple, Amritsar, India, January 15, 1914, by Stéphane Passet, via Archives of the Planet Collection – Albert Kahn Museum /Département des Hauts-de-Seine. 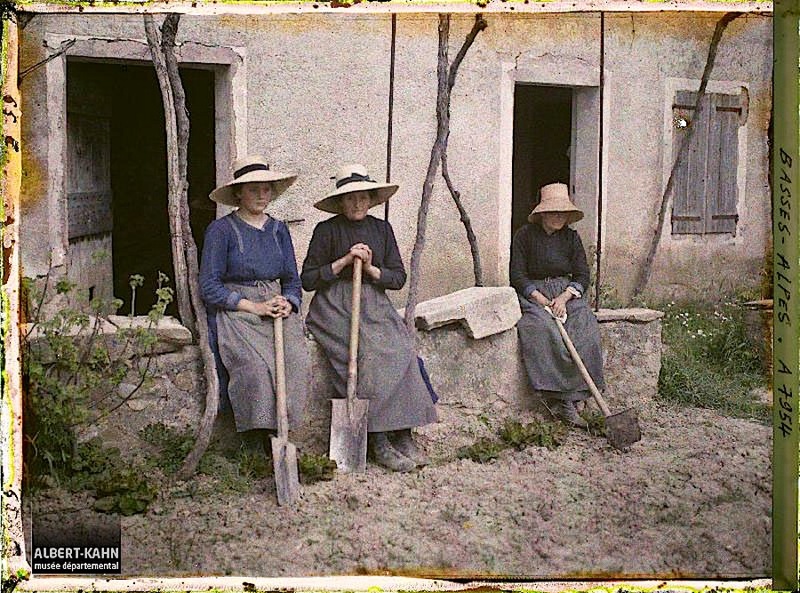 This autochrome is one of about seventy-two thousand that were commissioned and then archived by Albert Kahn, a wealthy French banker who was committed to the ideal of universal peace and who believed that “knowledge of foreign cultures encourages respect and peaceful relations between nations.”* He was also acutely aware that the 20th century was going to bring rapid material change to the world. Accordingly, from 1909 to 1931, Kahn sent thirteen photographers and filmmakers to 50 countries “to fix, once and for all, aspects, practices, and modes of human activity whose fatal disappearance is no longer ‘a matter of time.’”† The resulting collection is called Archives de la Planète and now resides in its own museum at Kahn’s old suburban estate at Boulogne-Billancourt, just west of Paris. Since June 2016, the archive has also been available for viewing online here. 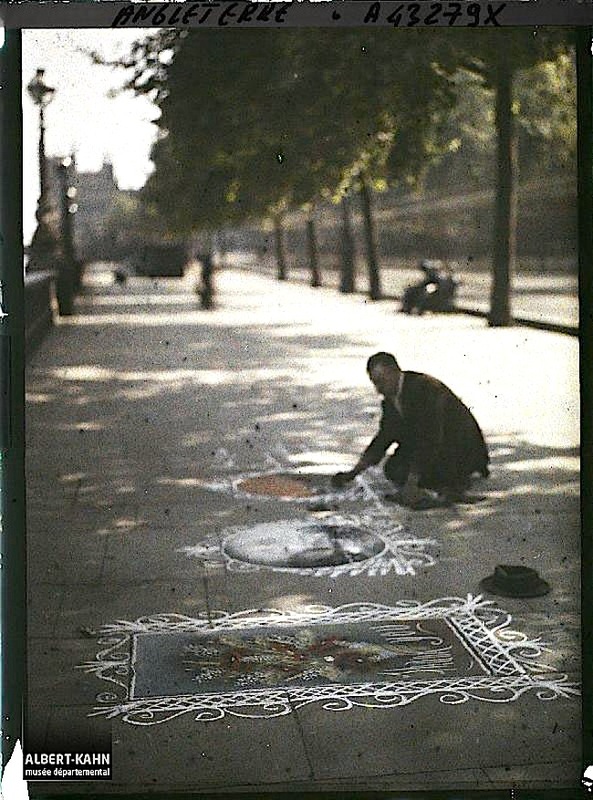 *Collections Albert-Kahn website. 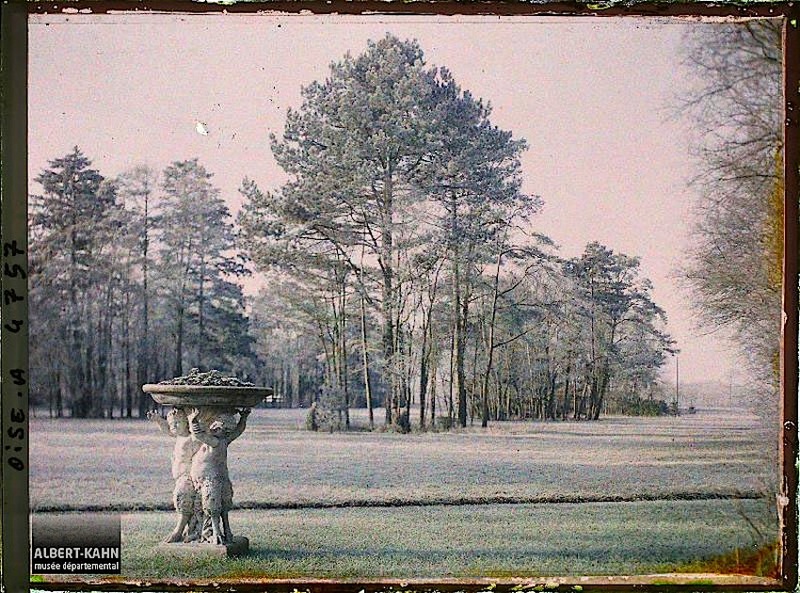 Also, the above photo (A 4 214) is © Collection Archives de la Planète – Musée Albert-Kahn and used under its terms, here. †words of Albert Kahn, 1912. 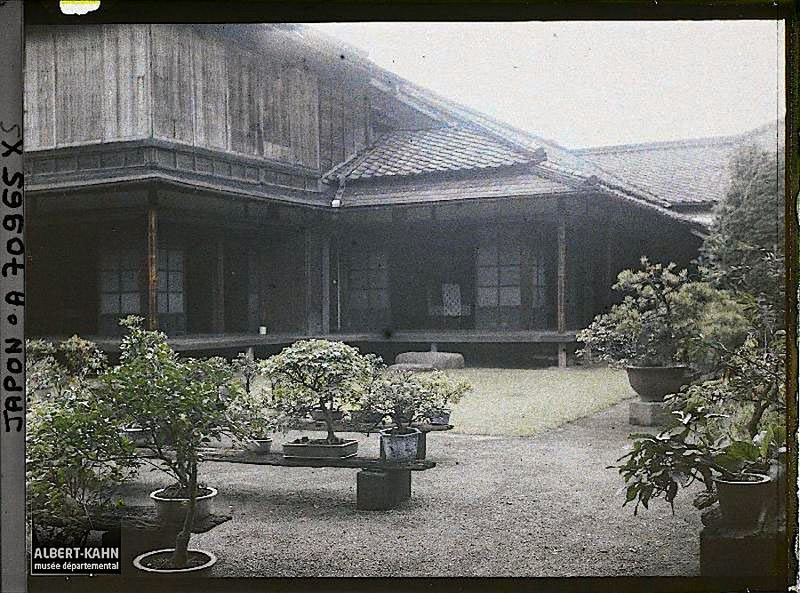 A garden corner of a residence (possibly of the Kitashirakawa family), Tokyo, Japan, 1926-1927, by Roger Dumas, via Archives of the Planet Collection – Albert Kahn Museum /Département des Hauts-de-Seine. *words of Albert Kahn, 1912. Also, the above photo (70 965 XS) is © Collection Archives de la Planète – Musée Albert-Kahn and used under its terms, here.